Here are my codes for the challenge. 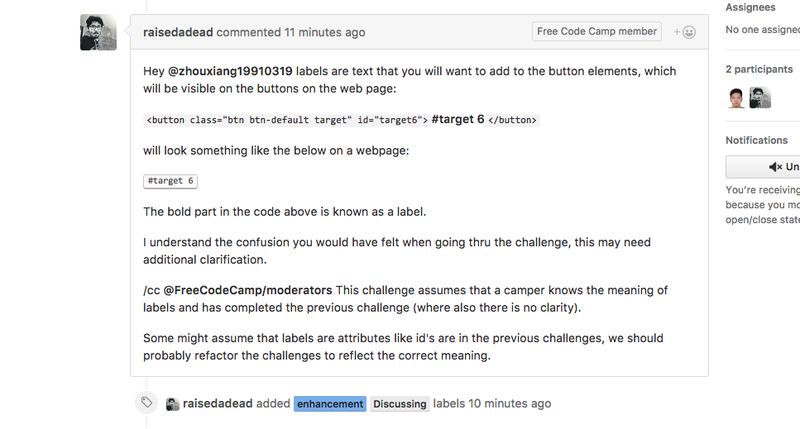 My question is this: why do we need to label the bootstrap buttons? I thought we already id’ed them? Is using span the correct way/only way to do it??? Juts got an answer from github. Here’s the explanation and correct answer.